Haulaway Storage Containers is here to fill all your storage needs throughout the Bay Area including Conex in San Francisco. We provide a wide variety of quality steel container products for rent to clients large and small. One call to Haulaway does it all – we handle delivery, placement, and pick-up. Why haul your items to an off site location when Haulaway can deliver them right where you need them with zero hassle? Our heavy gauge steel conex cargo container range is especially popular with our construction industry clients. Haulaway offers conex containers in two lengths to our valued San Francisco area clients. These containers are constructed of durable 14 gauge steel, and can be ordered in twenty or forty foot lengths. The contents can be accessed easily through a ground level double cargo door, and will be secure with the patented Rhino locking system. The forty foot long conex cargo container is available in the standard height or with one foot of additional headroom. Whatever your project requires, Haulaway has the right product for you. Roll off containers are available in a wider range of sizes, and are well suited to projects and locations of any size. The 10 foot long steel shipping container is especially popular for residential remodeling projects. Store building materials and tools, or use the container to protect your valuable equipment and furniture from damage with a convenient and durable steel container. Roll offs are also available in lengths of twenty-one and twenty-six feet for larger projects. We are proud to serve the Bay Area from our friendly and responsive office in San Leandro. And, with another office not far away in Rancho Cordova, we have ample inventory of all sizes of shipping containers available at a moment’s notice. The solution to your storage needs is just a call away with Haulaway Storage Containers. 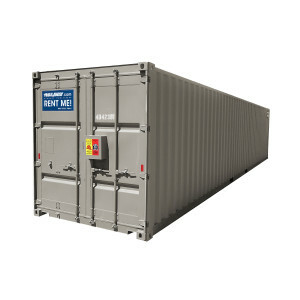 We hope that when you are in need of a Conex container rental in the San Francisco that Haulaway is your choice.